I made this piece specifically for the Black & White Animal Show. I wanted to do something with Panda's, and this necklace was born. Over the period of two weeks, I spent many hours in my shop next to the wood stove, hovering over my toasty warm torch, while making the twenty two lampwork glass beads I used in this piece, and then some. 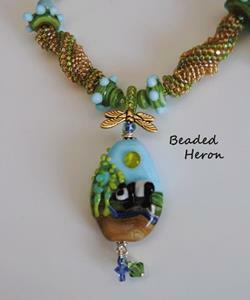 I spent many more hours beadweaving the six graduated beaded spiral beads, but I had a vision. Incorporating everything I wanted to have in this necklace was a bit of a challenge, as I had this entire specific design in mind, and getting it all in without having it end up too long was my goal. The necklace is 22 inches long, so will fit most anyone. I had also never made Panda Bear beads before. 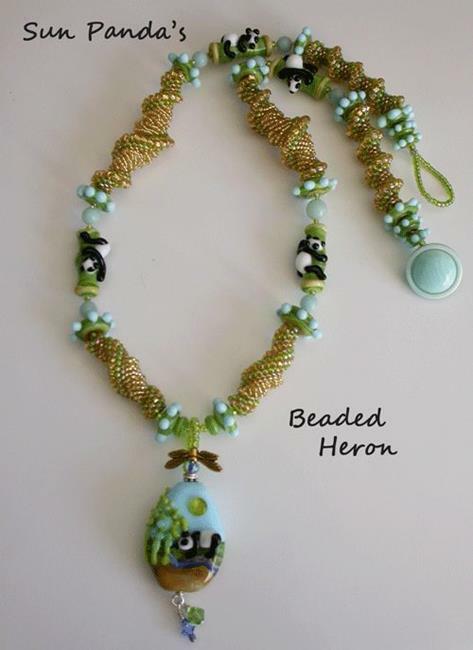 I further challenged myself to make this piece using only supplies that I have on hand, as I tend to be a hoarder when it comes to beads and findings. 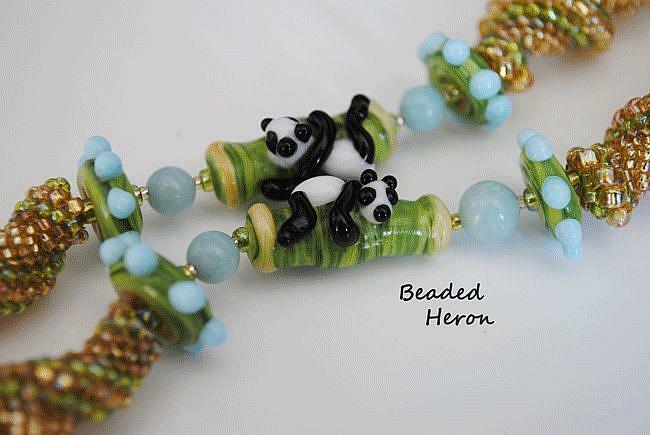 Working in a bead store helps that addiction along just fine, but it is the dead of Winter. The bead store is a 50 mile car ride, and a day wasted, and some unnecessary dollars spent. I can enjoy saying I met this challenge quite well without ever having to leave home over it. I painstakingly lined this entire necklace with size 15, and size 11 seed beads, ensuring no component touches or wears on the stringing medium, which helps insure this necklace will last many years to come, given proper care. Sterling crimps were used and crimp covers put in place to give a finished appearance. A vintage button closure completes this piece.. I hope you enjoyed looking into my little Sun Panda world! This work is for sale on my website, beadedheron.com. 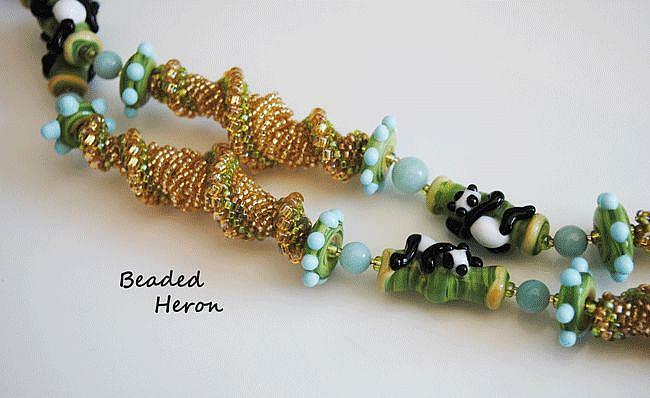 Panda focal with hand made beaded dragonfly bail.